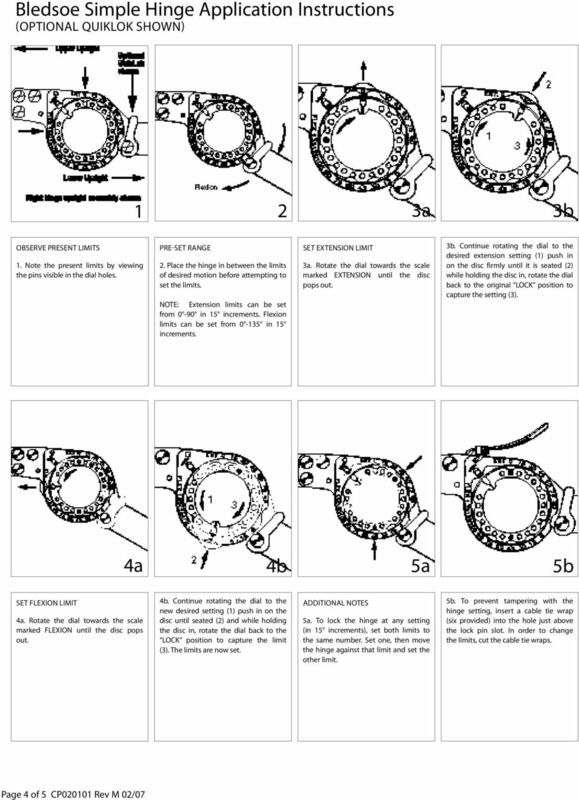 Download "Original Bledsoe Brace Application Instructions CP Rev M 02/07"
1 Original Bledsoe Brace Application Instructions CP Rev M 02/07 TOTAL LEG SUPPORT SYSTEM WITH INFINITE R.O.M. & SHORT APPLICATION TIME This device is offered for sale by or on the order of a physician or other qualified medical professional. This device is not intended for reuse on a second patient or for extended use beyond 180 days. This device is generally not intended for patients in excess of 250 lbs (114 kilos). This device is not intended to prevent injuries or reduce or eliminate the risk of reinjury. 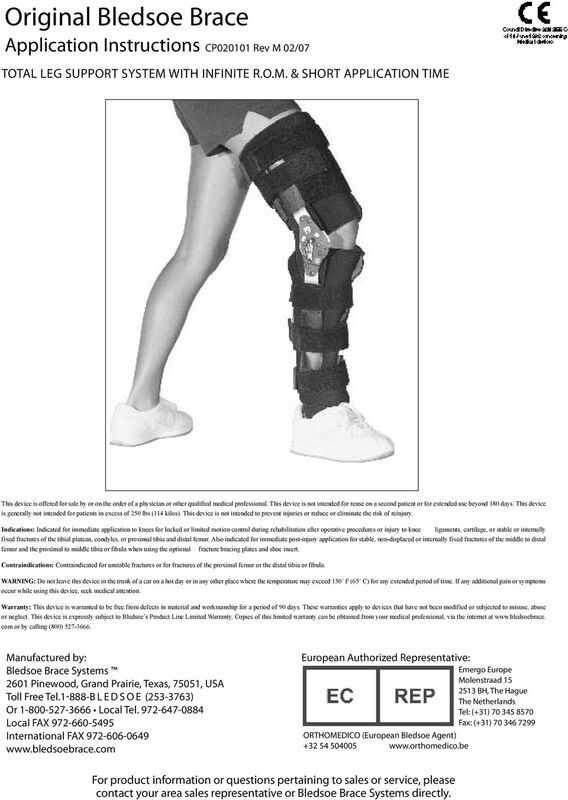 Indications: Indicated for immediate application to knees for locked or limited motion control during rehabilitation after operative procedures or injury to knee ligaments, cartilage, or stable or internally fixed fractures of the tibial plateau, condyles, or proximal tibia and distal femur. 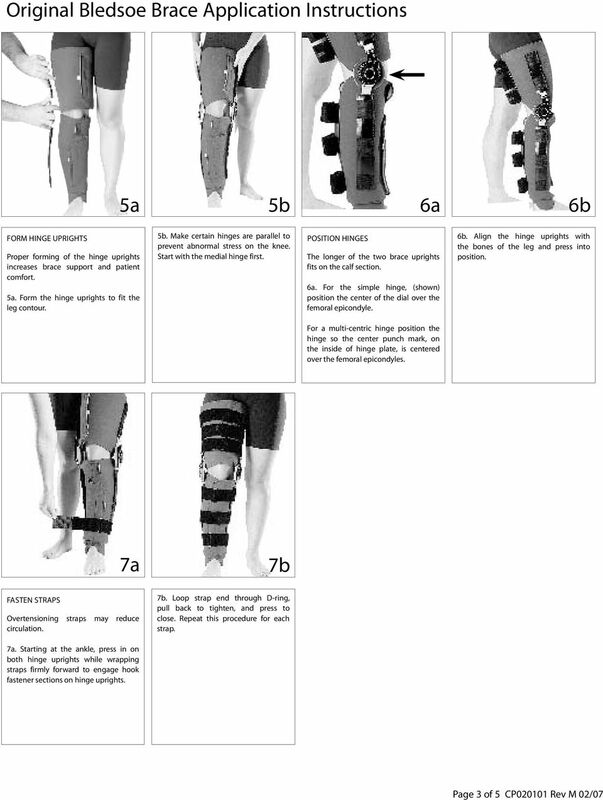 Also indicated for immediate post-injury application for stable, non-displaced or internally fixed fractures of the middle to distal femur and the proximal to middle tibia or fibula when using the optional fracture bracing plates and shoe insert. Contraindications: Contraindicated for unstable fractures or for fractures of the proximal femur or the distal tibia or fibula. WARNING: Do not leave this device in the trunk of a car on a hot day or in any other place where the temperature may exceed 150 F (65 C) for any extended period of time. If any additional pain or symptoms occur while using this device, seek medical attention. Warranty: This device is warranted to be free from defects in material and workmanship for a period of 90 days. These warranties apply to devices that have not been modified or subjected to misuse, abuse or neglect. This device is expressly subject to Bledsoe s Product Line Limited Warranty. Copies of this limited warranty can be obtained from your medical professional, via the internet at com or by calling (800) Manufactured by: Bledsoe Brace Systems 2601 Pinewood, Grand Prairie, Texas, 75051, USA Toll Free Tel B L E D S O E ( ) Or Local Tel Local FAX International FAX European Authorized Representative: Emergo Europe Molenstraad BH, The Hague The Netherlands Tel: (+31) Fax: (+31) ORTHOMEDICO (European Bledsoe Agent) For product information or questions pertaining to sales or service, please contact your area sales representative or Bledsoe Brace Systems directly. UNPACKING AND ASSEMBLY Assembly Instructions Step 1. Open the two boxes and remove all the parts. 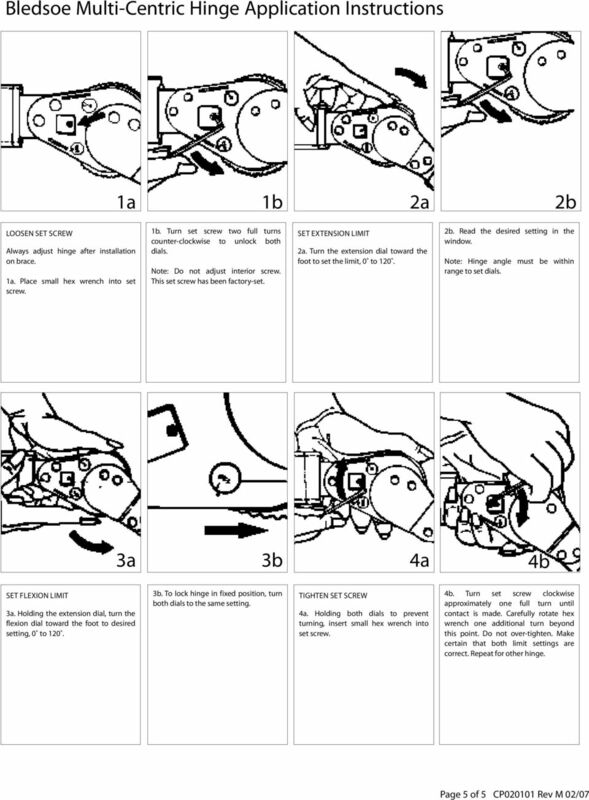 Lay out the parts as shown below and read through the assembly instructions before beginning assembly. XM-4434. Owner s Manual POWER TOWER !CAUTION. Read all precautions and instructions in this manual before using this equipment. notebook security DEFCON 1# ultra combination cable lock USER GUIDE Visit our Website at www.targus.com/ Features and specifications subject to change without notice. 2006 Targus Group International, Inc. VISION OF REHABILITATION A multidisciplinary approach to optimize the quality of patient care is considered essential at the Arizona Burn Center, located at Maricopa Medical Center in Phoenix, Arizona.